Before strawberries were tamed, they were an exotic fruit. In the middle ages, Europeans considered the strawberry unfit for consumption because it grew in the woods among the serpents and toads and was thought to be contaminated. On a rare occasion, an explorer would describe the wonderful sweetness of the dangerous strawberry. Over time, the strawberry was tamed and cultivated. 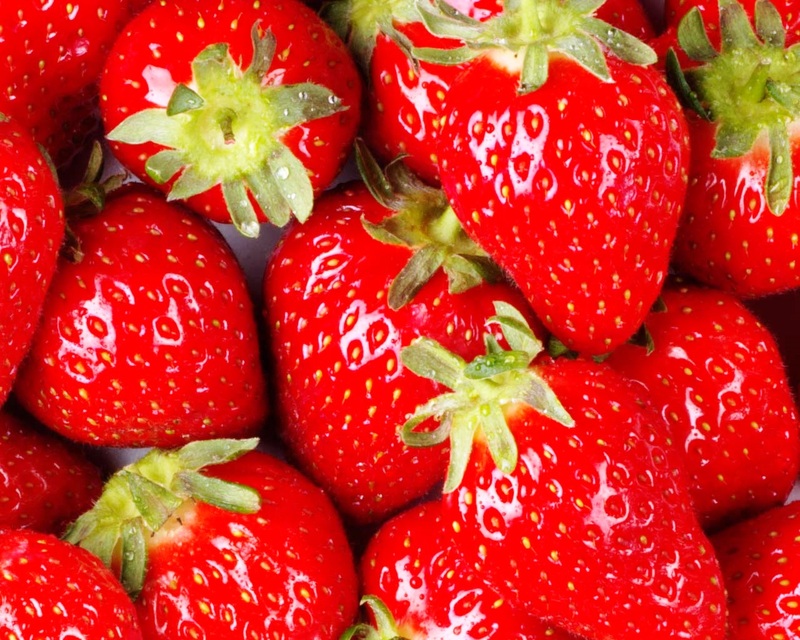 In the 1700’s a Swedish botanist ate nothing but strawberries for a year to prove they were indeed edible. As I prepared for this seventh fruit of the spirit it feels like we have tried to tame what was once an outrageous fruit of the spirit which abides in us by making good the opposite of bad; thus a good person does nothing bad. We want to live the good life. We associate goodness with feeling good and invest a lot of energy into that goal. The pursuit to feel good can be interrupted by life. We speak of doing good works; leading to organizing programs so more people will do more good works. All of us have been frustrated when our best efforts to do good fall short and people lose interest in doing good. Goodness is not about feeling good or doing good. We fool ourselves, like the rich young ruler; into thinking to be good is to keep all the commandments. (Luke 18: 18-23) He boils the goodness out of good by doing what is not bad. This is why Jesus asks the rich young ruler: “Why do you call me good? No one is good but God alone.” Jesus is saying there’s a unique goodness about God; the source of goodness. We are created in the image of a good God; possessing the capacity for good. The apostle says, “We are created in Christ Jesus to do good works, which God prepared in advance for us to do.” The fruit of goodness comes from the same source of goodness that was pronounced after our Creator God looked over the generosity of creation and said: “It is good.” The word for goodness throughout scripture suggests generosity. That is different than simply being a good person at home, work, and church. It includes those: but the goodness God intends for us who are created in Christ Jesus to do good work, is greater than our domesticated ways. God forgive us for taming goodness, when you offer so much more than a good life. God’s Spirit cultivates a goodness is generous and beneficial for all. Goodness is a quality of life that is about being generous in heart and action toward all others. This is why in our verse today, he says, “Do not seek your own good, but that of the other.” Goodness is a state of being that lives in an outward and generous ways to others, both friend and foe. In our self sufficient world it is hard for some to think about bearing a life which benefits all by their generosity. The primary deterrent to goodness of heart and action toward others is the lure of our wealth. We begin to seek goods for ourselves, rather than goodness for the sake of others. This is the age old problem of placing our trust in the transience of what we hold in this life. We think I have to take care of what is mine first; preventing us from being open handed with others as God has been good to us. We become distracted by our need to have enough for ourselves. A certain spiritual master was pleased with his disciple’s progress, so he left him on his own; living simply in a mud hut, begging for food. Each morning after prayers, the disciple washed his loincloth and hung it to dry. One day, he discovered his loincloth was torn and eaten by rats. He begged the villagers for another; they gave him one. The rats ate that one, too; so the man got a cat. Now when he begged for food he had to beg for milk for his cat. Then he thought, I’ll get a cow. So, he got a cow and found he had to beg for feed for the cow. So, he decided to plant the ground around his hut. The man realized he was turning into a farmer and had no time for his devotions, so he hired servants. Overseeing the laborers became so time-consuming that the man married in order to have a wife to help. The disciple became the richest man in the village. His teacher came to see him and was shocked to see where there was once a mud hut; was a palace, surrounded by a vast estate with servants. The master asked the disciple, what happened. “You won’t believe this, but there was no other way to keep my loincloth, the man replied. Proving again that lure of self can overcome any of us. Paul ends one of his letters to his protégé, Timothy; warning him of the lure of riches. He wants to ensure he doesn’t become consumed by a love for material gain. (1 Timothy 6: 17-19) He starts: “As for those who in the present age are rich, command them not to be haughty, or to set their hopes on the uncertainty of riches.” We all susceptible to falling in love with money and the things money can buy. The amount of money we make is not the issue. Poor as well as rich can fall prey to this seduction. The parable of the rich man and Lazarus says the same thing. Jesus does not name the rich man, although he was probably known by everyone. Jesus tells the story from the perspective of eternity where the name the man means nothing to God. The beggar, Lazarus, is named. No one may have known his name, but God knows him intimately. The rich man needed nothing from God so he didn’t give thought to what God might need from him. Lazarus had nothing so he could seek after God before goods. Jesus warns of the ultimate danger of seeking goods before we seek the goodness of our generous God. Warren Buffett’s example is easy to dismiss because of his enormous wealth. The humble chairman of Berkshire Hathaway is giving away billions of dollars. Buffett said, “My gifts are nothing. I have everything I need with less than one percent of my wealth. I was born in the right country at the right time, and my work is disproportionately rewarded compared to teachers and soldiers. I’m just giving surplus that has no value to me but can do a lot for others. The people I really admire are the small donors who give up a movie or a restaurant meal to help needier people.” Are we the kind of good person Buffett admires? We can all do something; most can do more than what we are doing. No matter how much money we have, we are probably richer than ninety percent of the people in the world. Alongside giving money, we can give time, things, skills, gifts of reconciliation and new beginnings. There is virtually no limit to the possibilities of what good you can do with the riches we have. Hear what Notre Dame University is learning about good works. We don’t have to leave the church to do good works for the poor at the gate. We can serve in these precincts doing good. There are ways we can find Lazarus serving FUMC. In doing so, we may not help each other get into heaven or keep each other out of hell, but we might just begin to taste what Paul called the “life that really is life“. Got a taste for that? I am thinking warmer weather, so I want to begin my message with one of the greatest shots in recent golf lore. We may not be able to understand his talent, but I can explain its roots. Phil Mickleson learned to play golf by imitating his father. Phil plays left-handed, though he is right-handed. Phil would stand opposite of his father when he hit balls on the range and mirror his image. He imitated his father and it is working out. The ability to imitate belongs to the earliest moments of life. Researches performed four different expressions in front of the infants who were 12-17 days. First, pursed lips; second, smile; third, open mouth; fourth, open and close hands. They returned to a passive state between each gesture. Their observations determined infants 12-17 days old have the ability to imitate. Social scientists say we are born with the innate drive to imitate. The text says we are to be imitators of God. The Greek word for imitate is the word “mimiti”, whose English equivalent is “mimic”. Imitating God is following the pattern of Christ who said repeatedly, “What I see my Father doing, I do.” All we have to do is to look into the life of Christ and nurture the Spirit into following Christ’s pattern and we become imitators of God. Imitating God may sound like a philosophical or mystical concept. Not every attribute of God is subject to imitation. We try to imitate the things of God we cannot and ignore the attributes we can imitate. People will behave as if they are omnipotent, thinking they can do anything. Other times they protrude omniscience, refusing to confess their own ignorance about certain matters. Then there are other times when they think they can be omnipresent; look at our calendars. The fruit of the Spirit begins to grow in us when we learn to tell the difference between those attributes we can imitate and those that belong to God. In most cases a chapter break helps; here it interrupts the thought. Eph. 4: 32 unpacks an attribute of God-kindness, our fruit of the Spirit today. Ephesians 5:1 says we are to imitate divine kindness-we can be kind as God is kind. When the fruit of kindness grows in our spirit we imitate God. Kindness is not giving someone something they don’t really need just to feel better. It is not about being nice and polite. Kindness in Hebrew and Greek is interchangeable with steadfast love; which is the visible action of love directed toward others. Six times in the NT, kindness is spoken of as the object God’s action, sustaining the union between us and God. Kindness is love directed to others; connecting people, so to connect them to God; the groundcover binding heaven to earth. Kindness isn’t developed in isolation. It’s practiced in a fragmented, self-sufficient world by choosing to listen and to pay attention to others in intentional relationships. The fruit of kindness blooms in giving ourselves to others. The way the spirit of God shows evidence in our lives is we grow in our imitation of God’s kindness toward each other. The tense suggests we are to become progressively kind each passing year; growing rings of kindness. Like a Sequoia aging, we are to be marked with successive rings of kindness as we mature in faith. Two ways the fruit of kindness grows in our spirit is spoken of in v. 32. Kindness makes us tender-hearted. Hippocrates used this word to speak of a healthy heart. Paul takes this word from ancient medicine and says a healthy EKG spiritually indicates we have a good heart for all people. This photo appeared in London’s Daily Mail newspaper last week. It is a striking photo of unity emerging from the chaos in Egypt. Christian protesters stand together to protect Muslims as they prayed in that vulnerable position they place themselves in, five times a day, even when protesting in the streets. 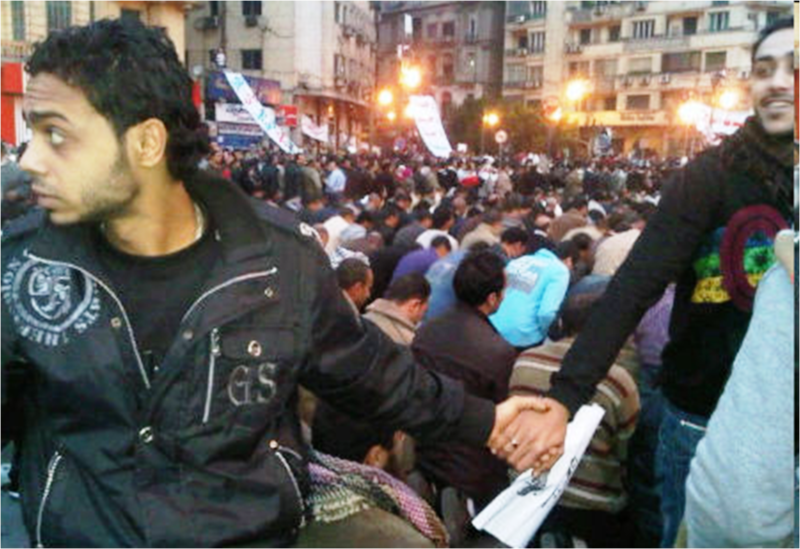 These are tender-hearted Egyptian Christians arm-in-arm, protecting the praying protesters. Kindness forgives. The text employs language of reciprocity; suggesting we are offer forgiveness to others in the same way we accept forgiveness from God. People say, “I have a long memory”. The last thing we want to hear God say is, “I have a long memory”. Our hope is God has a short memory. Forgiveness is the life blood of relationship. If we prevent blood flow from reaching our limbs, we will lose that appendage. In the same way, if we prevent forgiveness flowing from God to our lives and to others, we will lose ourselves. Refusing to accept God’s forgiveness or denying others our forgiveness is like running out of gas while driving a tanker full of fuel. The forgiveness of God is so plentiful, and the ability to forgive others can be offered so freely we are without excuse to experience it. We imitate kindness when our short memory prompts human forgiveness. We tend to grow more inflexible as we grow older. This makes imitation of more difficult. We decide this is who I am and this is what I do, getting caught up in the myth and we are unique originals. There has been nothing truly original since creation. Our work is just a movement on the same theme after God said it was good. We are imitating our Creator. Whether we will be imitators is not up for question. Will our imitation be a good copy or a copy that cheapens? I think the key to answering this question is to embrace the text calling us, “God’s dear little children”. It belongs to the heart of the child to imitate. Jesus said, “except you become as a child, you will not enter the kingdom of God“. Producing the fruit of the Spirit in our lives is not about a moral improvement program, nor is it like going to finishing school where we learn what is proper so to advance in social standing. We do not have to work on a list of do’s and don’ts to be approved because we are already approved. We are called to live according our true station in life; sons and daughters of God. As children of God we, like God’s own Son, can offer ourselves up as a fragrant offering of loving kindness. Jesus did not give himself up in order to become the Son of God; he was already the Son of God. He was so secure in that assurance he could love the world to death with divine kindness. We offer ourselves to others, imitating Christ our big brother who offered himself for us by bearing the fruit of kindness. Jesus invites us to play the childhood game of “Follow the Leader.” God might say take a small step of faith; depending on the resources of heaven. God might say to a narrow step of judgment as you navigate the rough terrain. God might say take a long step over apathy that has been bred by years of mixed experience. God might say take a giant step generosity in order to extend the kingdom of God. We imitate God by spending a lifetime of playing the childhood game of “Follow the Leader”. This is National Kindness Week? Early Christians didn’t need a designated week. They were sometimes called the Kind Ones rather than Christians. This is due in part because there is one letter of difference in the word for Christ (Christos) and the word for kindness (Chrēstos). People were confused about the name, but they were also confused because they demonstrated the kind of life that lived up to both names. Early Christians caused the same kind of confusion as the free hug movement is causing today. This movement has momentum in cities all over the world. The fruit of kindness could go viral if we live up to our name as Jesus little sisters and brothers who produce this fruit-Kindness. Cause some chaos this causing co-worker, family friend and foe alike to wonder if we are Christians or the Kind Ones. Check out this Power Point as a way to put new wine in old wine skins. Jesus tells a fig tree three years dormant. The owner of vineyard is impatient and wants to cut it down; it isn’t delivering fruit. The gardener intercedes, “No, wait. Before you do, let’s give it one more year. (Chicago Cubs fan!) He tells the owner to let him dig around the roots and feed it; if it still doesn’t respond, then we will cut it down and burn it. Give it time to turn, before it’s time to burn. One interpretation is to see the fig tree as us, the owner as God, and the gardener as Jesus. God is impatient for us to do well, and if we don’t, God is ready to throw us to the fire. Gentle Jesus comes to rescue and pleads with his stern father to give us time to mend our ways. God agrees and we get a one-year suspended sentence. Let me cut down that interpretation and throw it in the fire. Jesus points to the patience of God. It is God’s deepest desire none should perish; all should come to salvation. God is doing everything to get our attention and call us to a life that bears fruit and is worth living. The role of the impatient vineyard owner is not the true God; but a false god. We are like those in the crowd who think God’s is looking for ways to zap us. Instead, it is because of the patience of God who is compassionate and gracious God, slow to anger, abounding in love and faithfulness that we were given the gift of time to grow and bear fruit. The gift of time is realized as the fruit of patience grows in our spirit. Patience will never be cultivated by mulling over things we cannot control. To do so aggravates the cultivation of patience in our lives. Redoubling our efforts regarding these things will be fruitless. The better way to live is to know the stuff that happens to us is not dead to possibility. It can be the catalyst for new growth; becoming the fertilizer that prepares us to bear fruit. The fruit of patience allows for time, so creativity can bubble up out of hardship. Patient persons have discovered God is there to help them turn the stuff of life into food for the future and they focus on things they can do good now, rather than on things beyond their control. We are eternal beings; so time isn’t scarce. Bearing the fruit of patience means we treat time as a gift from God, which we can give to ourselves and we can give away to others. We are invited to use the gift of time more like we are at a banquet, rather than a fast-food joint. This allows us to appreciate the journey as much as the destination; releasing us from having to achieve all our goals in a life time. As we bear the fruit of patience in our lives by becoming like God compassionate, gracious, slow to anger, abounding in love and faithfulness in all times; we should not be surprised if God shows up at some unexpected times in our lives. What does the fruit of patience taste like, like time is a gift from God.